Whether it's a treat of a meal for Father’s Day or a supper to mark mid-winter, June is the right month to create a menu that incorporates our fabulous South African brandies, from cocktail to dessert. Brandy imparts a special flavour when used in cooking, enhancing the final taste of any dish. The spirit can be flamed, simmered, stewed, or used to deglaze a pan in order to produce an irresistible sauce. Don’t be bound by quantities of brandy as listed in recipes, as you may prefer less or more – but note that too much brandy will simply overpower the flavours of the food it is supposed to embellish. You want aroma and flavour of the spirit to elevate your creation to gourmet heights. The alcohol evaporates during cooking so there is no need to worry about after-effects. South Africans are so fortunate when it comes to brandy – we really do make some of the best in the world – not that this is always appreciated. But the top judges in the northern hemisphere do – they are continually placing our brandies up there on top where they belong: the results below are two of the latest stash of awards scooped by our clever craftsmen and blenders. Our brandies made a clean sweep at the 2017 World Drinks Awards recently, claiming gold, plus the title of World’s Best Brandy for the Oude Meester Demant. This contest takes place in London, hosted by TheDrinksReport.com with a judging panel of respected and experienced authorities from the drinks and hospitality industry. They score entries on nose, palate, finish, balance, character and quality. Last month our brandies wowed the judges in America’s prestigious San Francisco’s World Spirits Competition. The SFWSC awarded Oude Meester three Double Golds for their 12- year-old, 18-year-old and Demant brandies. Van Ryn’s Distillery claimed two Double Gold medals for the Van Ryn’s 12-Year-Old Distiller’sRreserve and the Van Ryn’s 20-Year-Old Collectors Reserve respectively.This competition is among the most widely respected in the world, attracting more than 2 100 entries of spirits for evaluation by a judging panel comprising of 43 international experts. Now to a celebratory meal: I have started the dinner with my own version of brandied mushroom soup – if this doesn’t appeal, think about a delicious chicken liver terrine flavoured with fresh orange and brandy or a brinjal paté, baked and mashed with cottage cheese, brandy, yoghurt and fresh herbs for a trendy vegetarian first course. For the main course I settled for a quickly prepared lamb chop recipe, Banting-friendly, a change from casseroles, curries, potjies and the like, which can be teamed with seasonal veggies or salads. It comes from a well-used book entitled California Brandy Cuisine written some years ago to mark 200 of Californian brandy production. And then a trad Cape finale, given a twist, which you can find in Bertus Basson’s enjoyable cookbook Homegrown, published by Jacana Media and released earlier this year. I have deliberately left off quantities, but have mentioned approximate ones in the method. They can be increased or decreased according to the cook’s taste. Heat a generous quantity of butter or a mixture of butter and oil, and sauté the onion over medium heat until softened. Add garlic, stirring, then increase heat and toss mushrooms in the pan until their juices run, stirring frequently. Add the herb bunch, then about 2 cups of stock, bring to a simmer. After a few minutes add milk to taste – up to 2 cups if you want a cream of mushroom soup, less if not. Stir and simmer for about 10 minutes, then take off the heat and stir in cream – quantity depends on how rich you want the soup to be. Stir, then season with the salt, pepper, horseradish and lemon juice to taste. (The horseradish can be omitted, but I love the combination of this herb with mushrooms, they seem synergetic). Add more stock if you want increased quantities or a thinner soup. Finally mix brandy ( I use about 40ml or 3 scant tablespoons) into a spoonful of cornflour until well mixed, add to soup, bring back to a simmer, stir and remove from heat. Remove herbs. Cool, then using a hand held mixer, puree a soup a little, but still leaving it partly chunky. Chill until serving time. Reheat and serve, topping each serving with a spoonful of grated raw portabellini mushrooms that you have tossed in a little lemon juice. Serves 4 or more as a first course. Heat half the butter and sauté the chops over high heat for 2 minutes on each side. Remove chops from pan. Add the onion and cook gently until soft and golden. Return chops to pan, add the remaining butter, parsley, Worcestershire sauce and seasoning to taste. Cook about one minute more, then heat the brandy, ignite and pour over chops and sauce. Serve immediately. Serves 4. Sift all dry ingredients together into a bowl and whisk the milk, buttermilk, water, eggs and oil together in another bowl. Slowly pour the liquid mix into the dry ingredients, whisking continuously to form a smooth batter. Rest the batter for at least an hour, preferably overnight, in the fridge. Rub a good quality 24cm non-stick pan with a drop of vegetable oil. Heat to moderate heat and add about 80ml of batter. Roll the pan around to spread batter evenly. Cook until lightly browned on one side, flip over and lightly brown the other side. Fold into quarters, allocating two pancakes per person. Repeat process until batter is used up. For sauce, heat a large pan, big enough to fit 8 folded pancakes. Sprinkle the sugar onto the dry pan and let it caramelise lightly. Add the butter and stir until melted. Add the orange and lemon juices and stir vigorously to form a syrup. Place the folded pancakes into the pan and coat with syrup. Add the orange and lemon zests Warm the brandy and van der Hum and ignite. Tilt the pan toward the flame and add the flaming spirits to the pan. When flame dies, add the orange segments to the pan. Serve immediately with vanilla icecream. Serves 4. The wine focus at this year’s FynArts festival revolves around personalities in the wine world, from cellarmasters to critics, viticulturist to vinous story-tellers. There are also two late-afternoon discussions and the hugely popular tasting of the Wine Critics’ Choice. Hosted again by Melvyn Minnaar, the 2017 theme of 'personality' suggests someone out of the ordinary, outstanding, possibly unusual. He has asked six personalities to select wines of “personality” which should prove an interesting collection. Starting on June 10 the wine sessions take place daily for four days at 12 noon and 15h00 , with two demo-talks at 17h00. Tickets can be bought individually or in sets. Pieter Ferreira starts the fun with his talk on bubblies, and he continues into the late afternoon session. Duimpie Bayly will recall great moments and legends about local wine, along with pouring some vintage labels. Jan Boland Coetzee of Vriesenhof will focus on soil and climate, and Rosa Kruger will talk about wine heritage and pour some great examples. Monday June 12 sees Ntsiki Biyela recall career experience and pour wines that influenced her. Ex-Nederbutg cellarmaster Razvan Macici will take the hot seat in the 15h00 slot. On Tuesday June 13 Christian Eedes, well-known wine judge and editor will offer a discussion on the controversial manner of ratings, and illustrate his points with some vinous examples. At 15h00 on June 13 eight wine critics will nominate a favourite wine and give their reasons while the audience sample their choice. This year’s critics are Michael Fridjhon, Myrna Robins, Samarie Smith, Tim James, Winnie Bowman, Gregory Mutambe, Christine Rudman and Higgo Jacobs. Guests stand a chance of winning a set of the Wine Critics' Choice wines by buying a raffle ticket in aid of Hermanus FynArts Development Fund. To book, visit www.webtickets.co.za or www.hermanusfynarts.co.za. For further info, call 060957 5371 or 028 3122629. Hermanus today is a busy, thriving town yet maintains its attraction for artists of all kinds, inspiring talent as it has done for many decades. Along with many art galleries and exhibitions at some of the Hemel-en-Aarde wine estates, there is the annual midwinter Hermanus FynArts festival, the 5th such event this year. Taking place from June 9 – 18, it features the work of an invited artist, as well as shows at the art galleries. Lectures and talks, debates and discussions are part of the programme. Music and food complement the cultural angle and then there is, of course, wine. Mary Faure, founding festival director, talks about “celebrating the creativity of people”. The annual Sculpture-on-the-Cliffs at Gearing’s Point near the Old Harbour, for which sculptors and artists are invited to make public art, is a very popular project and the works stay in place for months after the festival. This year the curator is the well-known artist/writer Lien Botha. Her theme is EchoLocation, which set a specific challenge to participating artists such as Bronwen Clacherty, Hannelie Coetzee, Hasan and Husain Essop, Ledelle Moe, Right Mukore, Jaco Sieberhagen, Brahm van Zyl and Emma Willemse. 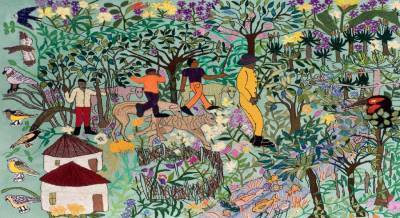 The festival artist is pioneer-painter/sculptor Willie Bester. Curated by Michael Godby, the exhibition will be a mini retrospective. Finish the merry month of May in delectable style at Hartenberg estate on Sunday May 28. Chef George Jardine is set to titillate palates with traditional cuisine at the Bottelary Hills Pop-up lunch, paired of course with the estates fine wines. Tickets cost R550 per person and include a wine tasting followed by a delectable three-course feast as well as wines paired with each course. Each person will also get a bottle of Hartenberg wine to take home. Pre-booking is essential as seating is limited. For bookings and more information visit www.wineroute.co.za or phone 021 886 8275. Diarise Friday June 2 for the seventh annual Chardonnay & Pinot Noir celebration hosted by Wine Concepts and held at the Vineyard hotel in Newlands. More than 40 top Cape producers will show their best bottles of these two varietals. Delicious snacks will accompany them. All wines showcased will be for sale at special prices at the event. The show takes place from 17h00 to 20h00. Tickets cost R200 a head and include glass, tastings and snacks. Special rates apply for those wanting to stay over at the hotel. Get your tickets through www.webtickets.co.za or at Wine Concepts branches or at the door, subject to availability. Email admin@wineconcepts.co.za for info and bookings. As many fans already know, its time to head to Robertson Wine valley for the annual Wacky Wine Weekend taking place from June 1 – 4. This year there are several tutored tastings, cellar tours and other informative events to diarise, along with the fund of live music, sports, arts and crafts, country fare and family fun. It’s essential that visitors look at the full programme online a wackywineweekend.com, to decide what they wish to attend and book for. 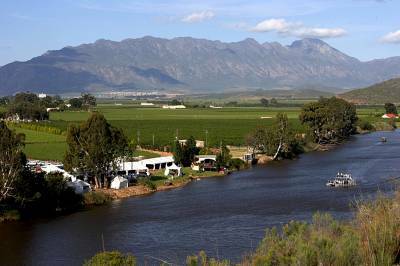 More than 40 wine producers are taking part from all the towns in the Robertson valley. All ages and tastes will be well catered for. 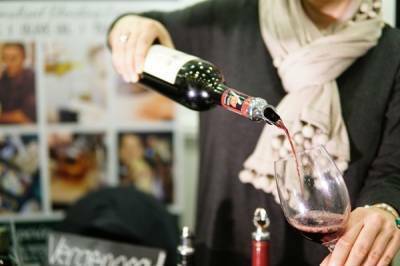 Every wine lover who wants to sample some of South Africa’s top wines should make a date for the 2017 Old Mutual Tropy Wine Show tastings, either in Cape Town or in Jo’burg. The winners of the competition’s top achievers in several categories will be pouring their best, adding up to more than 150 top, gold and silver medal winners of every kind. The winning wines will be on sale online and can be collected at the nearest Makro pick-up lockers. The 2017 winners will go live immediately after final results are announced on May 30. Parking: Secure underground parking available at the convention centre and neighbouring shopping malls. Ticket price: R175 Early Bird for bookings by 2 June; R190 thereafter. Buy online or at the door, subject to availability. No under 18s, babies nor prams. Refreshments: Light meals are for sale at the tastings. Enquiries: (011) 482 5936. ;. It’s mushroom time again! Soon, foragers will head into the forests in search of these delicious delicacies that pop out for a short time in the year. 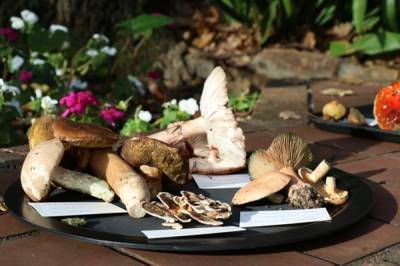 Delheim Estate’s popular Mushroom Forages takes place on 15, 16, 30 June and 1 July . Only 40 guests a day are accepted, and hunts are led by Delheim’s Noral Sperling-Thiel and Gary Goldman, a mushroom fundi. The time is ripe for championing chardonnay. The time is always right for chardonnay, I hear some say. Well yes, but autumn bounty means mellow days and cool nights, risottos, rich seafood pastas and paella, bouillabaisse and citrussy chicken , duck with gingered apples, roasted gourds and much more. This is the perfect season for pairing full-bodied elegant chards with rich seasonal fare that has taken more than a few minutes to stir together. On Friday May 26, gourmets and winelovers will celebrate World Chardonnay Day, another great excuse to indulge in an appetising unwooded chard to start proceedings at sunset, and follow with a choice of complex chardonnays that offer citrus and cream against a structured core of oak and minerality to enhance a menu chosen for the wine and finishing with gourmet cheeses. Glenelly estate makes two chardonnays, with the oaked version being better known and more highly rated in Platter. But I love cellarmaster Luke Cuinneagain's unwooded chardonnay, a junior sister that displays typical hallmarks of elegance in a fresh but sophisticated wine . Delicious aromas of citrus and honey precede a mouthful of well-balanced fruit and rounded structure, followed a long finish. Alcohol levels at 13% are in keeping . The Cape of Good Hope is a distinguished range of terroir-specific wines, many of which are also produced from venerable vines. Part of Anthonij Rupert’s portfolio, the Serruria chardonnay 2015 is another gem, sourced from a vineyard in the Elandskloof, high above Villiersdorp, on the farm Atltima. From a reserved start of wafts of orange blossom aromas, the wine opens up to reveal a harmonious combo of oak and citrus flavours and satisfying freshness. Winemaker Mark van Buuren is the talented creator of this range. This wine will enhance a wide range of seafood and poultry fare, along with South-east Asian specialities. Hartenberg’s Grande Dame, the Eleanor 2015 is a chardonnay to approach with keen anticipation. One of the estate’s Super Premium wines, previous vintages have been rated four and a half and five stars. The 2015 vintage, which has produced superb chards from various corners of Stellenbosch region and from others, is no exception. Eleanor Finlayson and husband Maurice owned the farm Montagne, as Hartenberg used to be known, from the late 1940s to 1977. She was an exceptional matriarch, multi-tasking as she brought up her sons and dispensed warm hospitality to visitors. This chardonnay is another fitting tribute, a classic that can compete with any other in South Africa and many from across the globe. Rich, yet fresh, presenting nutty and vanilla flavours along with some citrus, well-balanced complexity and delightful mouthfeel. Cellarmaster Carl Schultz moves from award-winning shiraz to champion chards with equally prestigious results. Glenelly’s Lady May range consists of just one wine – Lady May 201 is a beautiful cab finished with 10% of petit verdot and a splash of cab franc. It’s an elegant wine in the best Gallic tradition: cellarmaster Luke O’Cuinneagain expresses his talent in understated creations that many connoisseurs relish. The wine is a tribute to estate owner May de Lencquesaing who - along with running Chateau Pichon Longueville Comtesse de Lalande in Bordeaux - invested in Stellenbosch 14 years ago, buying an old fruit farm and transforming it into a distinctive and beautiful wine estate. Should any woman think she is too old to take on a venture like this, Lady May could be the inspiration needed: she is in her 90's, and is still very active in running both her French and Cape estates, supported by her two grandsons. At the launch last year of the renovated cellar and opening of a new tasting room and The Vine Bistro, her young grandson introduced some of the wines, casually mentioning that he was in charge of marketing the estate across the USA, Europe and Asia. Glenelly offers visitors a world-class destination, with May de Lencquesaing’s extensive private glass museum as an added attraction . There are more than 300 items on display, antique and contemporary, dating from Roman pieces through glass from the 18th and 19th centuries, Art Nouveau and Art Deco pieces, creations gy Salvador Dali and the Italian glassblower master, Lindo Tagliapietra, to contemporary South African works. One need not be a mother to savour a day in such beautiful surroundings, but for children looking for an unique venue for mothers who appreciate fine wine and relaxed seasonal bistro fare, it would be hard to beat a day at Glenelly with its spectacular views. Or just schedule a visit to see what hard work and vision can be achieved by a nonagenarian who takes little heed of passing years. Hard to believe it's more than four years since I went to the launch of The Game Reserve wines, an impressive new range created by cellarmaster Erika Obermeyer and destined to raise substantial funds for the Wilderness Foundation. At that time Erika was making the still wine for Graham Beck Wines and getting numerous awards for her fine efforts. She started the conservation-focussed range with her cabernet sauvignon and chenin blanc, both of which were very successful and continue to be top-rated wines of this pleasing line-up today. Front labels illustrate the chosen game reserve animal, back labels offer information on its habitat, along with tasting notes. The trio of whites, a chardonnay, sauvignon blanc and chenin blanc , all 2015 vintage, salute the fish eagle, Cape Eagle Owl and highly endangered Riverine rabbit, while the four reds, all 2014 vintage, sees the bat-eared fox on the pinotage label,while the Cape clawless otter (now thriving in the restored Vink river system, thanks to Rooiberg farmers) graces the merlot bottles. Appropriately the magnificent Cape leopard and Africa’s largest antelope, the eland, are depicted on the cab and shiraz respectively. To elaborate on my two favourites, the chenin is a beguiling wine, with melon and citrus aromas giving way to a salad of tropical fruit , with pleasing freshness. Makes a great companion to a feast of summery fare and for spicy Asian creations and is an appealing tribute to the long-eared riverine rabbit which is surviving in the reserve. The cab is a fine example of careful blending of grapes from three regions into a complex mix where berry, dark chocolate, plum and spicy flavours mingle, backed by firm tannins and presenting a long finish. The Cape leopard on its label has been discovered in several areas along the Langeberg mountains including the Breede conservancy and on other leopard-friendly farms, which are all playing a vital role in maintaining its genetic diversity. These wines are keenly priced, ranging from R53 to R71, and no less than R3 from the sale of every bottle sold flows to the Wilderness Foundation. Rooiberg Wines have committed to continuing this arrangement for at least five years, already raising nearly R50 000 between July and October last year. The funds have been shared between the Cape Leopard Trust and Conservation @ Work, as well as other projects. Visitors to the Robertson Wine valley during May can pause at the cellar with its giant red chair and sample the range along with Rooiberg’s other fine wines, before adding a case or two to their car boots. That goes for travellers who intend heading to this year’s Wacky Wine Weekend, as well. Do-good makes for feel-good, adding another layer of enjoyment to some terrific wines. 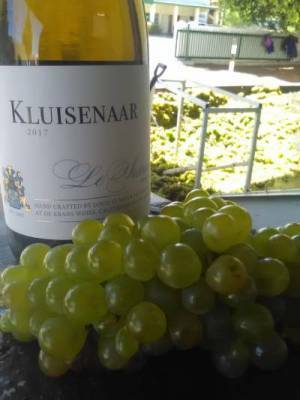 Cellarmaster Wynand Lategan recently launche d a maiden chenin blanc from his Lanzerac cellar, followed by a syrah, the first in more than a decade. They make a fine pair for autumn sipping and for partnering the fuller, richer flavours of cool weather dishes. Both wines were made from Jonkershoek valley grapes, a small but prestigious ward in the Stellenbosch region. 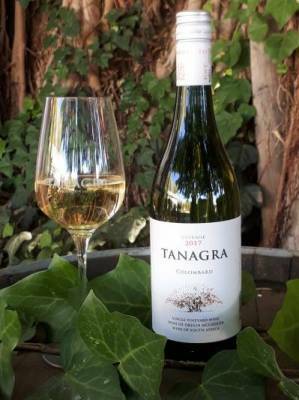 The 2016 chenin blanc offers the agreeable freshness that one expects from youthful wine from Stellenbosch vines, nicely balanced with stone fruit flavours. Just over 20% was matured in oak, which adds some creaminess to the mix. As well as making a good mate for chicken salads and rich chicken liver paté, this is a wine to open with autumn risottos of pumpkin and al fresco lunches of soft creamy cheeses. When it comes to casual Sunday fare of charcuterie or lamb, on the braai or roasted to perfection, the Lanzerac syrah 2015 makes a fine choice, presenting a lighter style of winemaking, ideal for mellow days . The classic flavours of white pepper, dark berries and plums are there, along with hints of fynbos. Can be cellared for a few years, but probably will be enjoyed by most patrons over the next few months. These new additions to the estate’s Premium wines complete the range nicely, all offered at realistic prices.The chenin costs R85 and the syrah R140 from the farm’s Tasting Room, while members of the Lanzerac wine club benefit through a 20% discount and free delivery of cases country-wide. If wine lovers have difficulty finding it in their favourite store, send an e-mail to Zelda Furstenburg at winesales@lanzerac.co.za. If you are lucky enough to live in the Western Cape, then you have an excellent excuse for a day trip to five-star enjoyment at Lanzerac. At last! In leisurely fashion, autumn seems to be rolling into Cape lives, with early mists and darker mornings. It’s better weather for vinous expeditions and for relishing gourmet meals, both of which are on the calendars for April and May. April 6 (Van Riebeck’s Day when he hadn’t fallen off the PC perch) sees Nederburg Wines join forces with The Table Bay hotel for the first of a series of gourmet dinners created by executive chef Jocelyn Myers-Adams. The pairings will be led by Jean-Pierre Rossouw, publisher of Diners Club’s Platter’s Wine Guide which awarded Nederburg the Winery of the Year title in the current edition. The four-course dinner will be preceded with Nederburg bubbly, followed by the Private Bin sauvignon blanc which will partner a fish carpaccio. The five-star cab will be served with beef fillet, the Brew Master 2014 with the duck and the NLH 2015 will accompany the dessert. Seats will be limited. Booking is essential at TableBayDining@suninternational.com or 021 406 5988. The cost per person is R650, this is inclusive of the four courses, each paired with wine. April 11. Celebrate the Cape’s most versatile white grape under a full moon at the Grand Africa Café & Beach on Tuesday 11 April. Hosted by the Chenin Blanc Association, more than 30 producers of this iconic white wine will be poured, a multi-faceted collection that will illustrate its diverse talents. Canapés will accompany your tastings, and jazz from the Blake Hellaby band will provide background entertainment. Tickets cost R450, which are inclusive of tastings, snacks – and a magician’s show. The event starts at 18h00. Uber will be on hand to drive visitors to and from the event safely, and a free first ride up to R50 is available.Sign up with this promotional code: DrinkChenin,. Download the application for iPhone, Android, Blackberry 7, Windows Phone, or visit the mobile site m.uber.com. April 29. Over the long weekend of April 29 Darling invites guests to join them for a feast of music, food, beer and wine, arts and crafts. Not only does the little west coast town have a large heart, but a bellyful of innovation, according to organiser Ida Opperman. No charge for admission to the festivities, although some events, like live shows and musical performances will cost a fee. Visitors should visit www.tasteofdarling.co.za for details but make time to wander the town on foot and relish platteland hospitality. For more info, email taste@tasteofdarling.co.za or call 022 492 3971. May 27 Sample some of our finest shiraz wines at the 2017 Shiraz & Charcuterie in Franschhoek, starting at 12 noon. The host will pour Anthonij Rupert's three fine syrahs, while others taking part include Rust en Vrede, Waterford, Mullineux & Leeu, Hartenberg, Simonsig and Thelema. Food choices include traditional French onion soup and homemade sausage with cannelloni beans along with artisanal charcuterie and a selection of cured olives. Booking is essential. Tickets cost R220 which includes all tastings. Book through www.webtickets.co. For more ifo contact info@dnaevents.co.za..
Jason’s Hill, like the neighbouring Slanghoek cellars, enjoys the benefit of occupying one of the Boland’s most beautiful sites, the secluded valley that produces great wine and fruit with little fanfare. Along with a hiking trail and a function facility, the farm offers a range of wines both affordable and enjoyable. Winemaker Ivy du Toit has headed the cellar for many years, and her latest release is in keeping with her individual style: its a new version of her Cape Blend, named Jason’s Creek, sporting a revamped label and two award stickers. The 2015 vintage is made up of half pinotage with 35% petit verdot and finished with 15% tannat. The wine spent 10 months in French oak and offers plenty to chew on, juicy with berry fruit, a touch of spice, tannins quite prominent. If kept these should soften and the results should be smooth and savoury, but its fine for autumn braais, potjies and casseroles right now. Well-priced at R70 from the farm, also available at various city outlets. For more info, log onto their website at www.jasonshill.co.za and a plan a trip to this enchanting valley..
Last year the Griers decided that their venerable bush vine (unirrigated) sauvignon blanc vineyard, renowned for berries that produce an unique, intense wine, was worthy of special treatment. Barrel maturation would allow the intensity to feature, while the trendy egg-shaped tank would be used for partial skin fermentation. French oak – half new wood, half old – was used to complete fermentation, and batonage occurred weekly. The wine was stabilised and bottled after three months. What other updates from this family farm that does much to conserve the environment without being certified organic? Most winelovers know that the cellar is solar-powered and that both the Owethu clinic and The Pebbles Project, are centred at Villiera: these important facilities continue to progress, while the Early Childhood Development Centre has enjoyed a renovation. New additions to the estate, both four- and two-legged include kudu, waterbuck and wildebeest, with game drives in demand at least twice daily in season. The two-legged newcomers are a pair of youthful winemakers, being Nathan Valentine, whose childhood in the Stellenbosch winelands led him to complete a BAgric degree at Elsenburg while spending vacations working in the Villiera tasting centre. He followed this with stints at DeMorgenzon and Chandon in California before returning to Villiera. A vintage at Domaine Grier in southern France preceded his appointment at the home farm. Nathan will be joined by another member of the Grier family, namely Xander, son of David Grier, known to South Africans as an extraordinary adventurer for worthy causes. Xander has already notched up cellar and viticultural experience in Napa Valley, Australia, France, Tasmania and Elgin before returning to the Cape where he worked at Villiera and at la Vierge in the Hemel-en-Aarde. We wish them well with their careers at an estate where visits and vision, value and versatility feature as major attractions. Thoughts of Tuscany are not out of place at this time of the year, as parts of the Cape winelands resemble those Med countries that have inspired some of our finest Cape cuisine. One such area is the Overberg where olive groves, vines and wheat fields combine to present rolling hills of contrasting colour to travellers on the N2. Gabrielskloof goes a step further, tempting visitors to stop and savour one of their Med taster platters, comprising four of their wines and five snacks, with a grape-studded focaccia on the side. Think chorizo and calamari, mini-lamb kofta on tzatzaki, hummus with chickpeas and dolmades and a classic Caprese salad. Avontuur estate hosted the winners’ function last week, where the second Cab Franc Challenge proved to be a popular contest, entries increasing from 32 to 50 this year with 11 entering the vintage class for older wines. Cape producers favour diverse styles which complicates judging but the vintage class proved easier, with a single clear winner. The judging panel liked those offering dusty road characteristics and those with minerality, while typical cab francs featuring red berry on the palate and aromas of violets were also encountered. The Top Six, in alphabetical order, are Doolhof estate Single Vineyard Collection 2015, Kaapzicht 2014, My Wyn 2014, Nelson estate Lisah Nelson 2014, Rainbow’s End estate 2015 and Warwick 2013. The Top Six can be bought from Wine-of-the-Month Club for R1890 and they will deliver to your door. Every winelover should experience at least one weekend end-of-harvest fest. Eikendal's is celebrating its finish and farewell to sleepless nights and long days on Sunday March 5 with its popular Weintaufe carnival. The usual ingredients - fine wine, scrumptious street-style fare, live music and lucky draws are all on the menu, and this year the star of the show is Eikendal chardonnay, which will be crowned as the first wine of the new vintage. 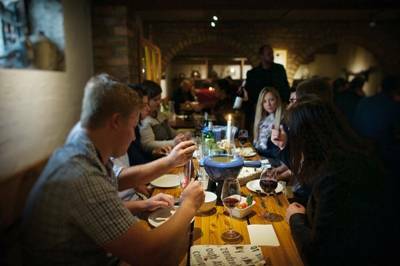 Visitors can sample this straight from the barrel after its baptism by cellarmaster Nico Grobler, while Italian specialities are top temptations in the restaurant. Stomping, golfing, and tractor rides can all be enjoyed and there's plenty to keep the small fry absorbed and amused. DISTRICT SIX HUIS KOMBUIS: Food & Memory Cookbook. Published by Quivertree Publications , Cape Town, 2016. It is surely the ultimate District Six title, in terms of lifestyle, tradition, recollection and restoration. Some 10 years ago the District Six Museum started the Huis Kombuis project: Memories and stories – centred around taste, texture and aromas in the District - were collected to form the heart of this unique book. The museum had started its project with craft and textile design workshops which developed into an interdiscliplinary base for reflection, remembrance and innovation. Name-cloths that are inscribed with embroidered messages, recipes and signatures stimulated links between craft and culinary heritage , which in turn led to the concept of this book. The rituals of cooking, eating, the place of the table in the kitchen, are all central to the collective memory of District Six, part of the spirit of place and sense of belonging. Not always inside: “The excitement of camping out on the pavement with “salmon slaai and boiled eggs in anticipation of the klopse passing by” is a new year tradition, still maintained by those who trek into the city from their windswept dormitories on the Flats . A gallery of quite formal portraits of former residents introduces us to the contributors of memories and recipes. Two foldout maps of the area help readers with a sense of place: The 1940 map indicates where each family lived, along with landmark schools and churches. The second street map marks the shops, produce markets, cafes, butchers and bakers, herb and spice suppliers, with the Grand Parade just visible on the district edge. The meat, as it were, of the book follows, starting with Monday which saw Sunday leftovers or fresh fish on the table. It may have been bought on tick – to be paid for on Friday – but what a wealth of seafood was on offer – snoek, stockfish [hake], crayfish, harders, maasbankers, hottentot, red roman, white stumpnose, geelbek and kabeljou. We meet Marion Abrahams-Welsh, Linda Fortune, Ruth Jeftha: a contemporary photograph accompanies their stories of childhood in the district, and memories of Monday meals reveals traditions of cottage pie from Marion, followed by sago pudding, while Linda’s family Monday favourites were brawn and her father’s crayfish curry, well spiced . The recipes are easy to follow, the food photographs appetising. Ruth’s family relished her mother’s fish cakes and fish smoortjies, made with canned pilchards for supper. Her mother was one of the last to leave her home in Bloemhof flats, a landmark in District Six. She lived without electricity and water towards the end and died a few days after being moved to Mitchells Plain. Subsequent chapters follow a similar pattern, with titles like ‘Stretching the pot’, ‘Niks het geflop nie’,’ We ate soup’, ‘Nothing went wasted’, ‘Friday the pans were screaming’... Along with savoury suppers, which often featured bredies, sweeter fare starred, proven with recipes for date and walnut loaf and tameletjie from a male baker. The women set jelly outside to set, to be served with custard or baked melktert as Sunday lunch finales, then went to to rustle up scones with apricot jam for afternoon tea. This well-balanced treasury of Kaapse kos sees substantial input from Cape Malay, Afrikaner, British and Jewish cuisines. Plus a soup¢on of Portuguese, and foraging influence from the San and Khoe who criss-crossed the slopes and shores above and below in previous centuries. The illustrated recipes take their place as an integral segment of an infamous period of Cape history, but are not its raison d’ȇtre. The painfully slow re-creation of District Six seems synonomous with the fact that traditional values are being replaced by a greedy capitalism, as the gap between the wealthy and destitute in the Mother City gets ever wider. Last word goes to the late Vincent Kolbe, one of the Museum founders and a former colleague of mine at City Libraries . When he wasn’t telling stories, he was making music (which included a party trick of playing the piano with his back to the instrument and his arms stretched back over his shoulders) or encouraging small children to read and revere books. Of the Huis Kombuis project he said “We created an arena which enables us to reaffirm our identity, celebrate our heritage and confront the complexities of our history.” A fitting tribute to an impressive example of teamwork. Hanover Street, heart of District Six.